Medical technology company Raumedic will be exhibiting at this year’s MD&M East show in New York. 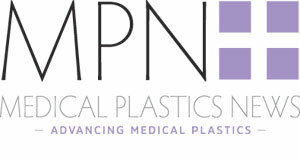 The polymer processor will be demonstrating a range of components for the medical technology and pharmaceutical industries. Visitors will be able to discuss any project and design ideas directly with the company’s representatives for the North American market. Raumedic recently established new headquarters for the North American market at Mills River in North Carolina. The site is equipped with a full-service development and production center for polymer components and systems. MD&M East takes place on 13-15 June at the Jacob K. Javits Center in New York and features many of the medtech industry’s most influential thought leaders and will cover a host of important and relevant topics.